When I don’t get to hike or travel and I find myself craving for scenery and a little bit of adventure, I go out for a run and just wander off. It was through this that I discovered interesting places – deserted alleys, red light districts, museums and parks. In one occasion, I even boarded a boat that cruised over Pasig river (blog here). 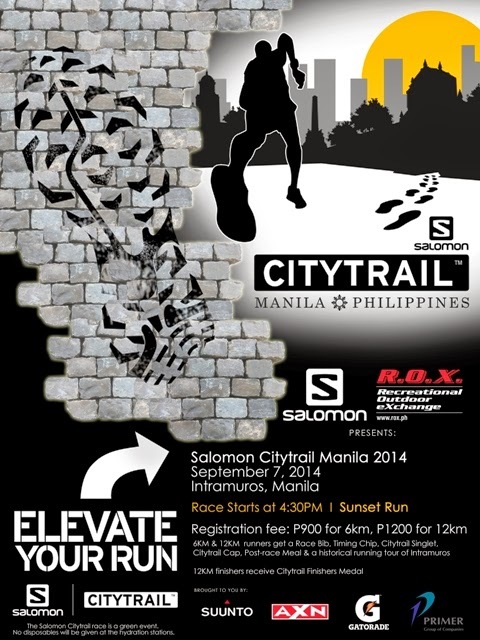 So I’m quite excited to share with you details of the Salomon Citytrail 2014 which will be held on September 7, 2014 in the historic district of Intramuros, Manila, a former political center of the Spanish regime in East Asia. This event promises to be fun and informative as the route will pass other historical landmarks within Intramuros. All registrants will get a race bib, timing chip, Salomon Citytrail singlet, Citytrail cap, post race meal and a historical running tour of Intramuros City. There will be ample parking space during the event. Baggage counters will be situated near the Start/Finish line at Fort Santiago. Gears : This will be a green event, meaning, cups will not be provided at the hydration station so you need to bring your own water bottles or hydration belts. If you're looking for new shoes, do consider, Salomon X-Scream. 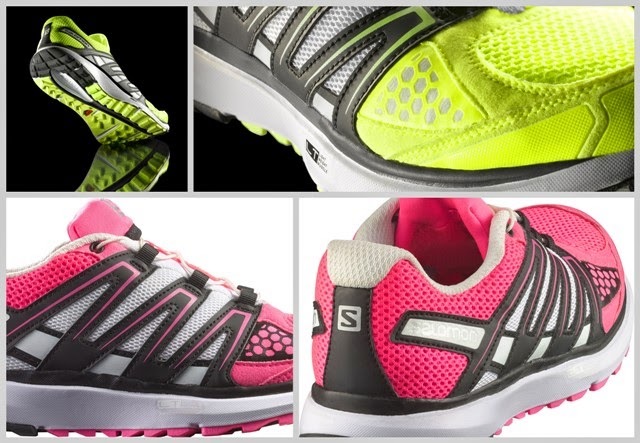 These colorful shoes are designed for those who do a combination of mountain and road running. It retails at P6,490.00 and is available in Salomon Stores in Glorietta 3, SM Aura, SM Megamall & R.O.X. Bonifacio High Street. 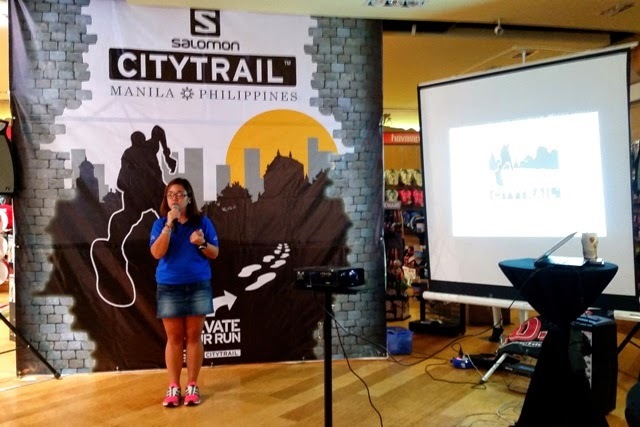 Related blog on Salomon Citytrail 2014 : Do check out sir Rene Villarta's (jazzrunner) post. This running activity is spearheaded by Salomon Philippines which is under the Primer Group of Companies, the retail company that brought other big brands here in the Philippines such as The North Face, Columbia, JanSport and more!